Please read the job listings below for Kansas City and select 'Apply' for the position that meets your abilities! Precision Door Service of Kansas City began as a family business in the late 1980’s and in 1997 was organized as an informal partnership. With aspirations of building the best garage door company in America, our founders began a franchise program that is designed for national expansion. 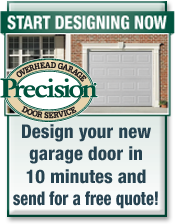 In 1999 Precision Door Service was incorporated and began its expansion nationwide through franchising. In 2001, Precision Door Service moved its corporate headquarters from Arizona to Florida and has remained in Titusville, Florida as Precision Holdings of Brevard, Inc. Precision Door Service has grown to over 70 locations across the United States and have added a subsidiary franchise in Vancouver, British Columbia. This franchise is operated and registered in Canada as Proficient Door Service. In 2014, Precision Door Service was expanded into the Kansas City market . 2004 – Ranked #13 in the top 20 new franchises by Entrepreneur® Magazine. Ranked #227 in the Entrepreneur® Magazine Franchise 500. 2005 – Received the ‘Spirit of Success’ award from Southwestern Bell. 2013 – Franchise Satisfaction Award - Top 50 Franchises by Franchise Business Review. BBB (Better Business Bureau) Accredited Business with an A+ Rating. 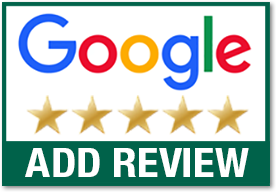 Our mission is to provide outstanding garage door repair service, complete customer satisfaction and a program that rewards excellence from our franchisees, technicians and staff. Our vision is to establish Precision Door Service as the public standard and national household name in garage door repair service. At Precision Door Service we continue to build on this foundation through discipline, innovation and hard work. We take pride in what we do. We believe you will see this in our products, our service and our team. The success of this organization begins with our employees and their shared passion to be the best. Our employees are energetic, knowledgeable and have the dedication required for success. If you are interested in becoming part of our growing team, contact us today! The Residential Garage Door Service Technician is the primary service provider for existing residential garage doors and garage opener systems. Service technicians will repair door and opener components and/or install new doors and openers. Service technicians have specific responsibilities in the areas of record keeping for customer billing, time cards for compensation, maintaining service vehicles and equipment, product education and training, safety training, housekeeping at the warehouse and shop, job-site housekeeping and miscellaneous duties, as required by the service supervisor. Service technicians are the first line of support for customers and are expected to maintain a neat and clean appearance and maintain a professional disposition with our customers. Perform physical demands such as, but not limited to: Reaching above shoulders, climbing ladders, balancing, stooping, kneeling, crouching or crawling, working at elevated heights and ability to lift up to 100+ lbs. Must be able to use hand tools, power tools and measuring devices. Must have a valid driver’s license with a clean driving record. No Experience necessary. Applicants only need general technical skills and to be highly motivated. The Residential Garage Door Installer is the primary person for installing residential garage doors and garage opener systems. Installers have specific responsibilities in the areas of inventory control, record keeping, pickup and delivery of products, housekeeping at the warehouse, shop and job-sites, time cards for compensation, maintaining service vehicles and equipment, product education and training, safety training, and other miscellaneous duties, as required by the service supervisor. Installers leave the final impression of our company with the customers and are expected to maintain a neat and clean appearance, leave the jobsite clean, always maintain a professional disposition with the customers and assure them that they made a great choice in choosing their products with Precision Door Services.